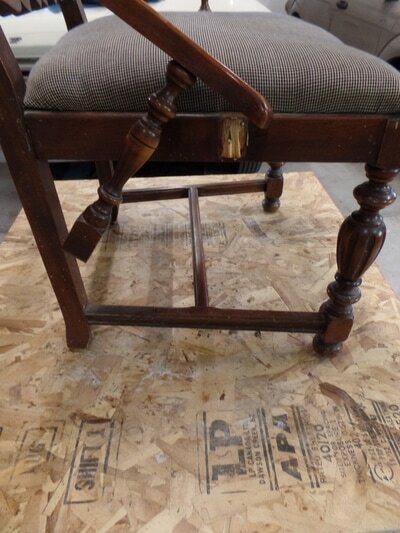 ​this chair structurally was in great shape. 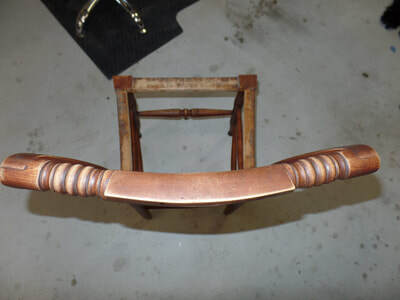 The fiber rush seat was in need of replacement and the finish was in tacked but not in bad shape. 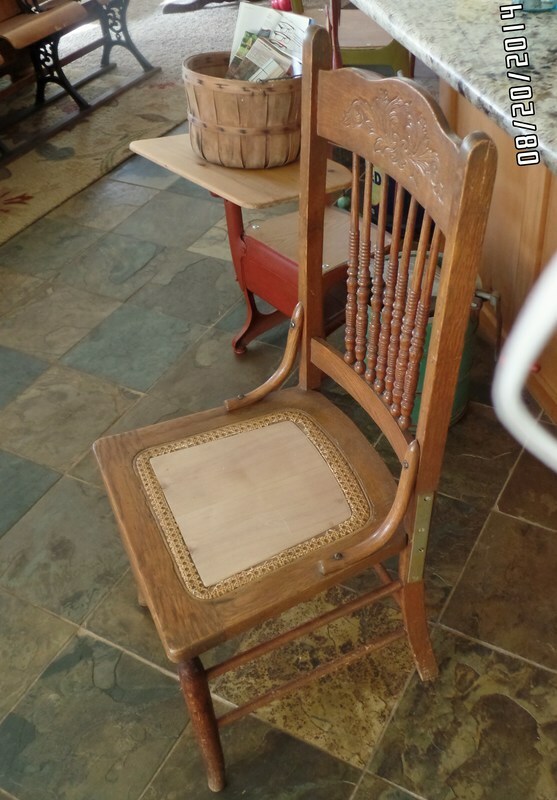 there was also some missing color. 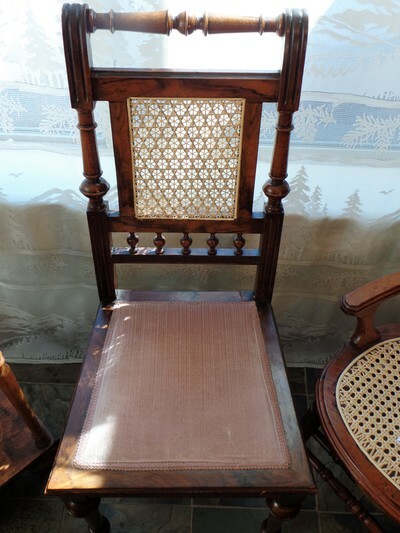 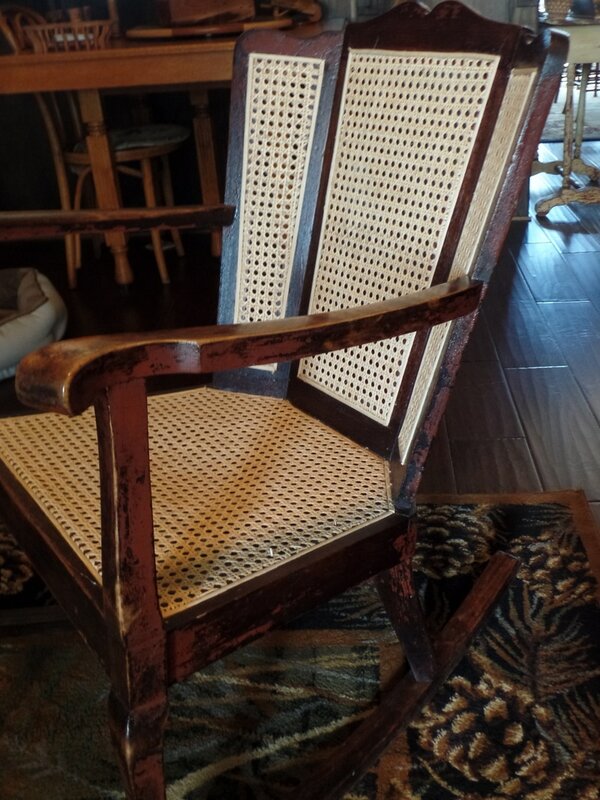 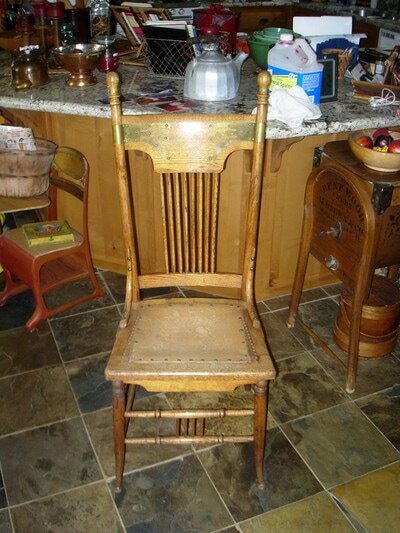 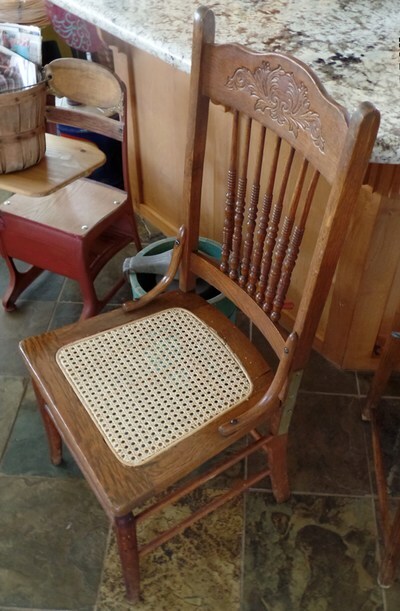 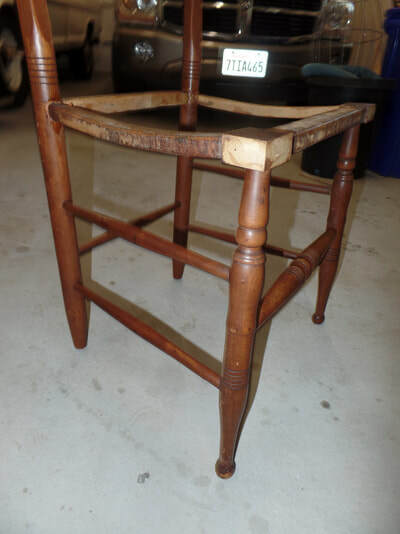 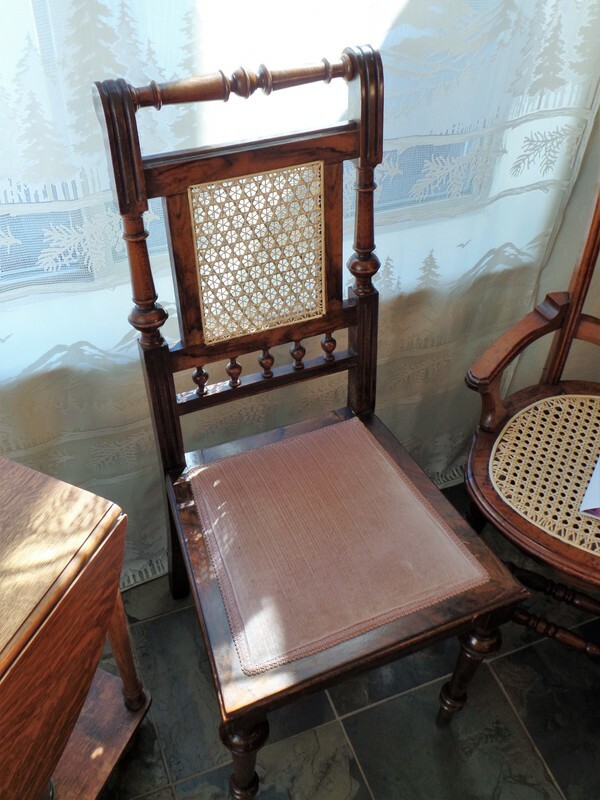 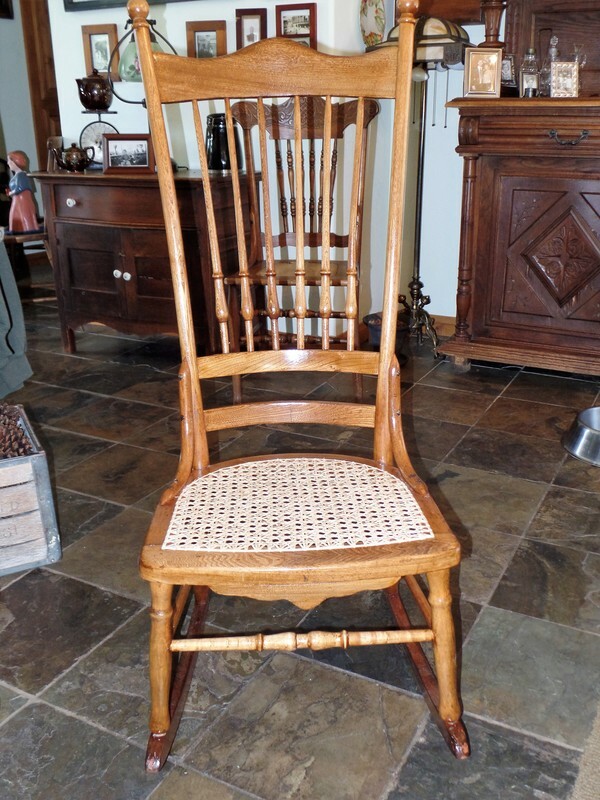 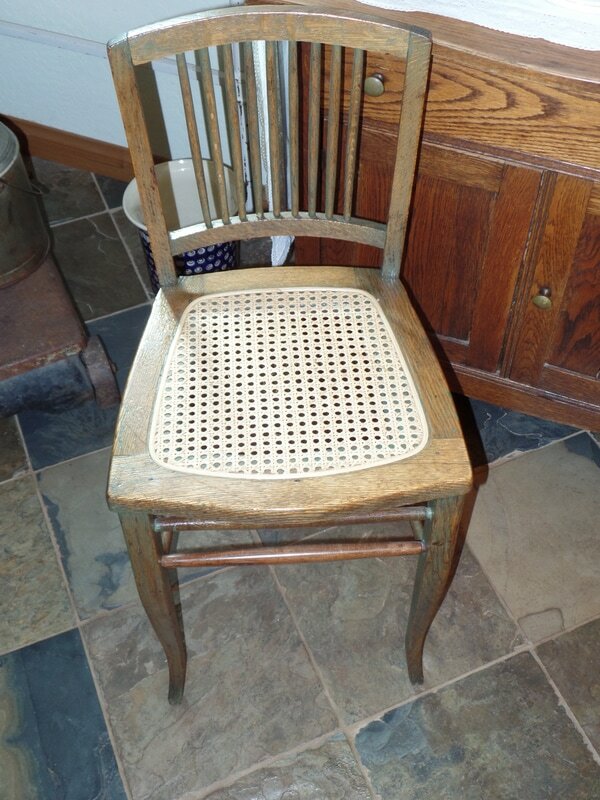 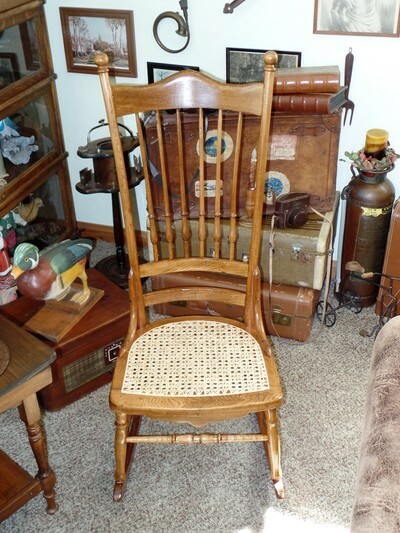 This Chair was in the customers family for many decades and meant a lot to them. 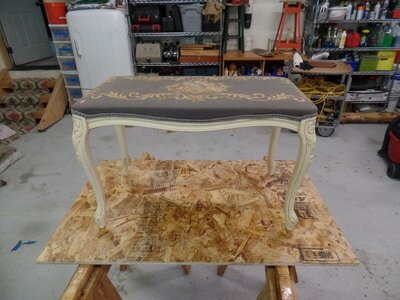 this was a cool bench to work on. 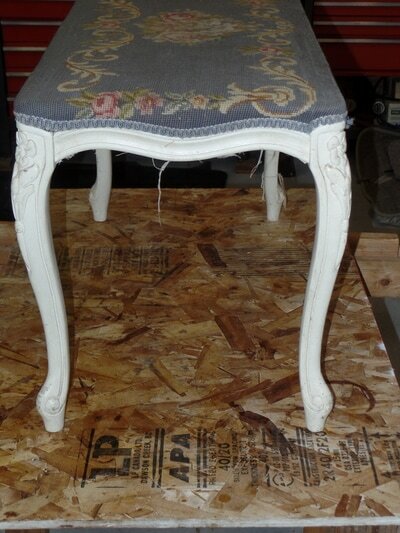 It had multiple coats of Blue then White paint that had to be stripped off, sanded ,stained and finished. 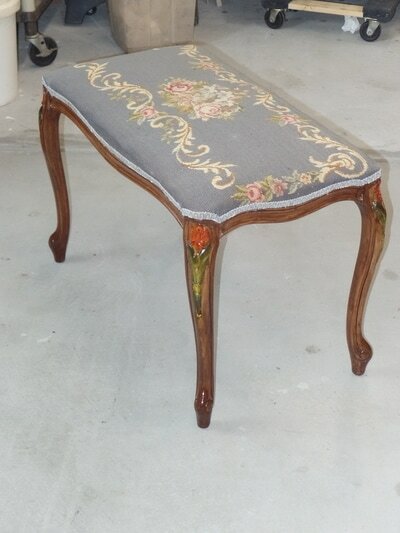 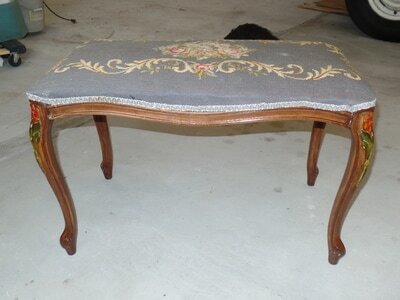 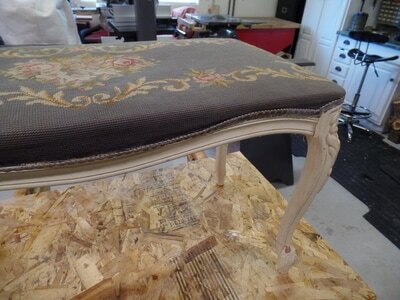 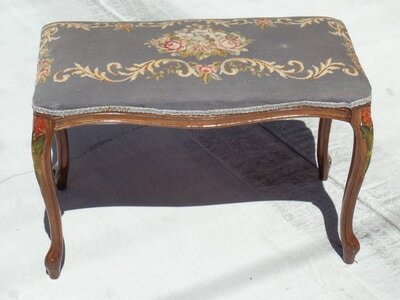 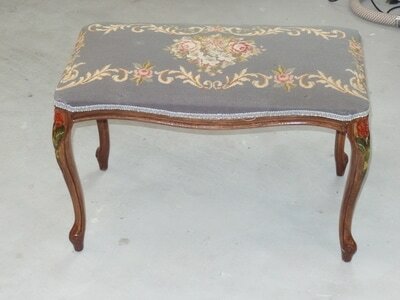 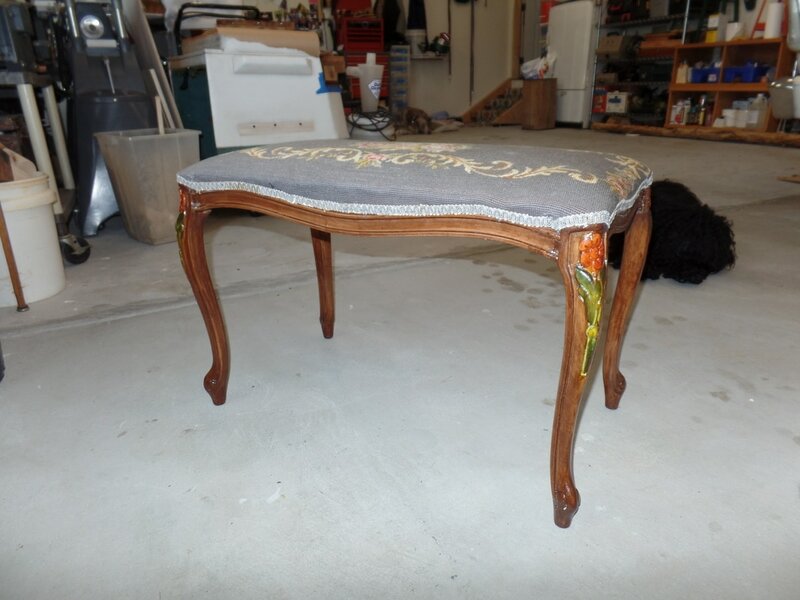 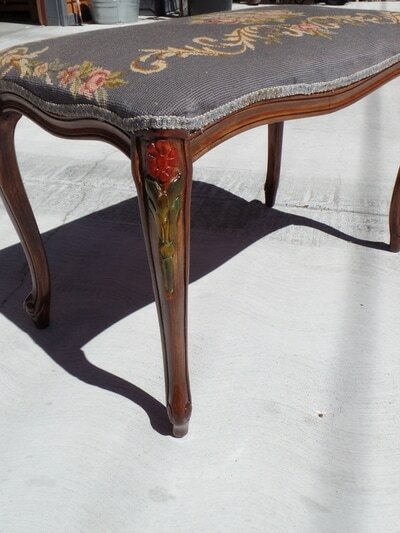 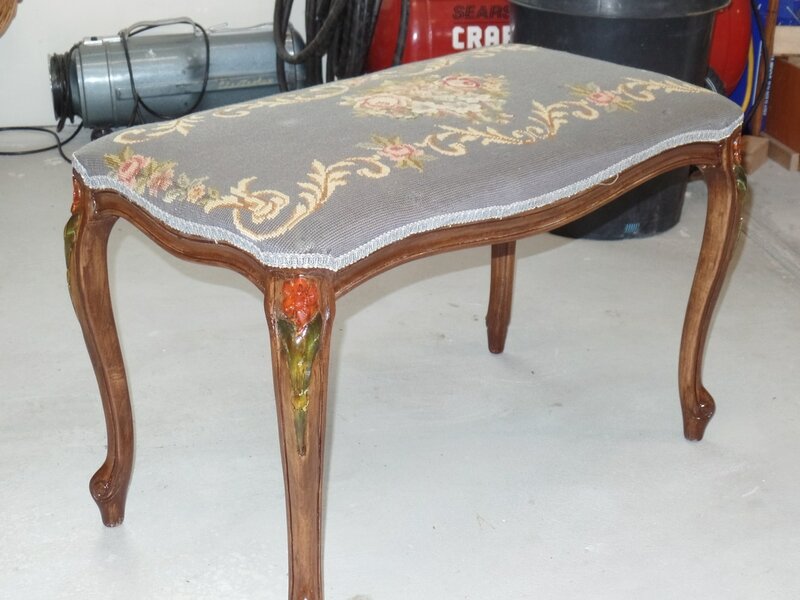 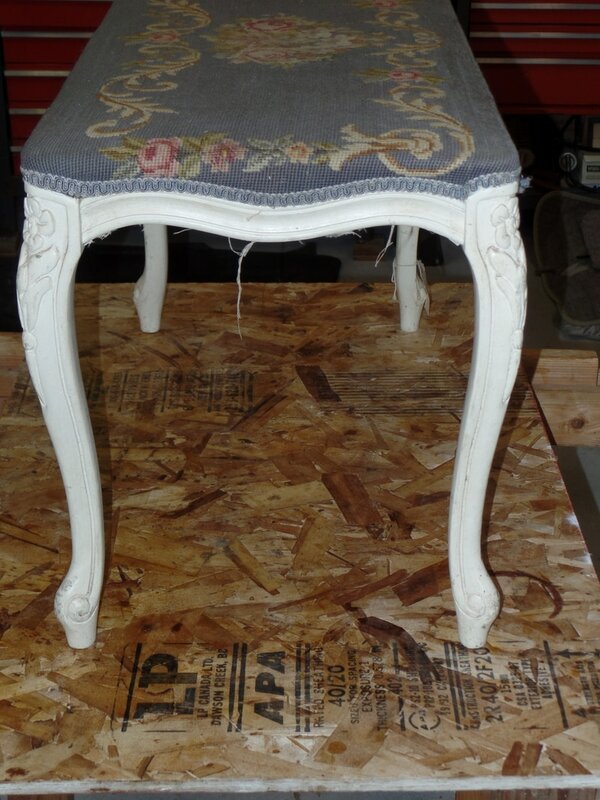 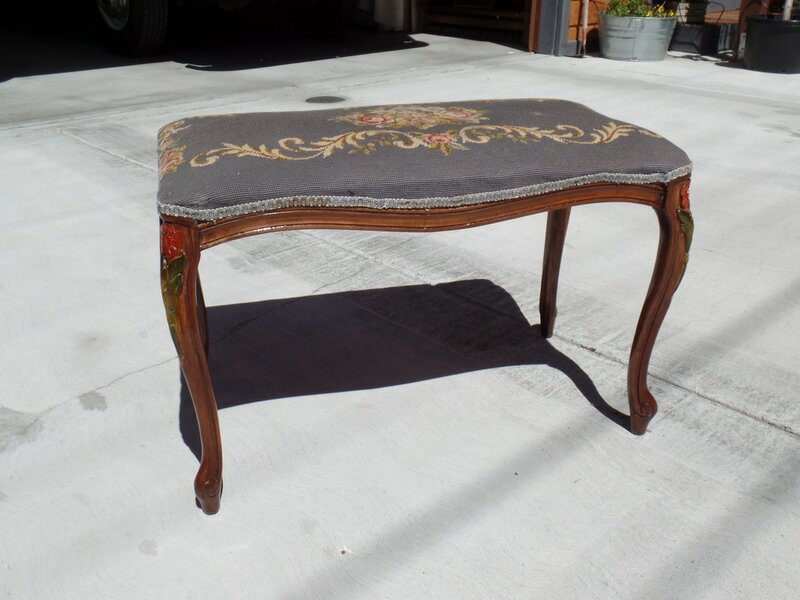 I added a solid seat bottom and was able to keep the needle point fabric for seat. I added some dye to the carvings on the legs. 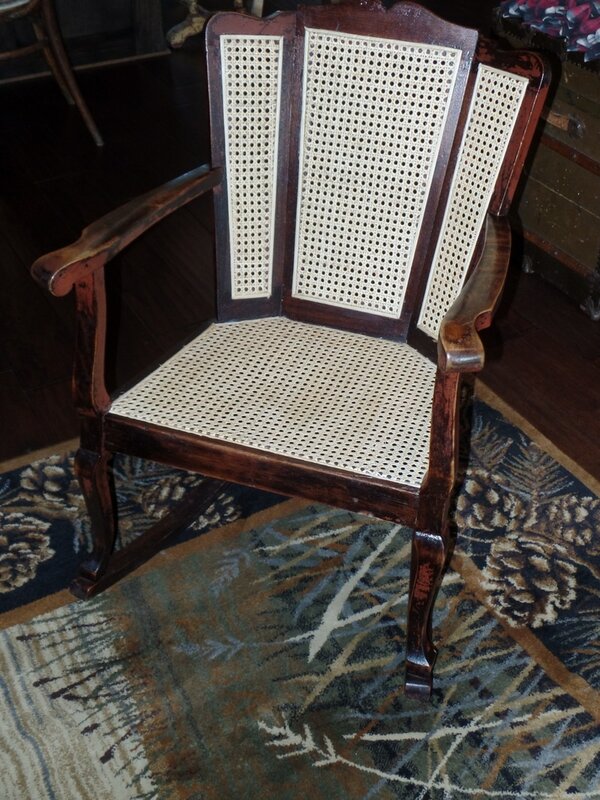 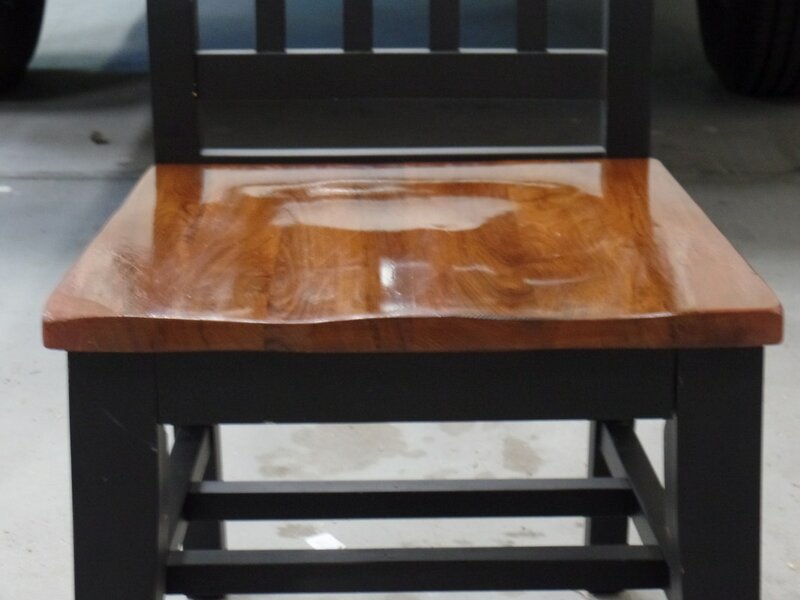 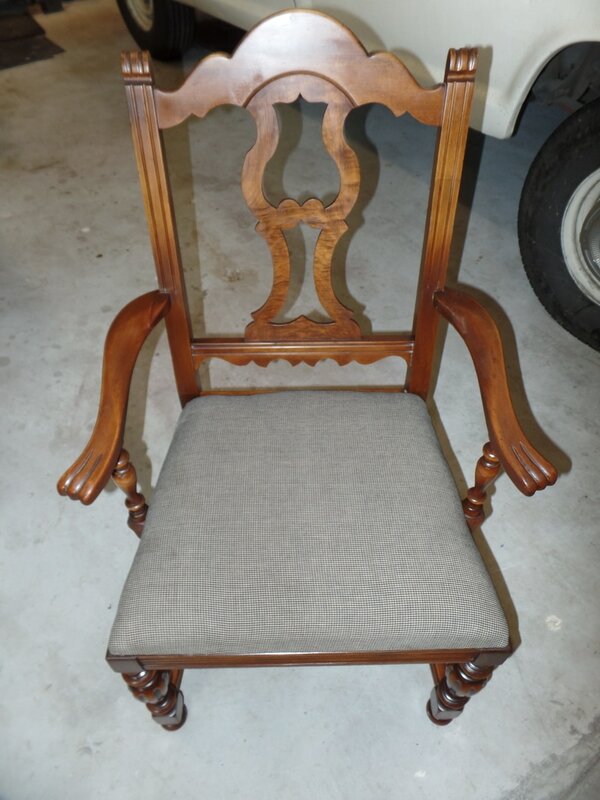 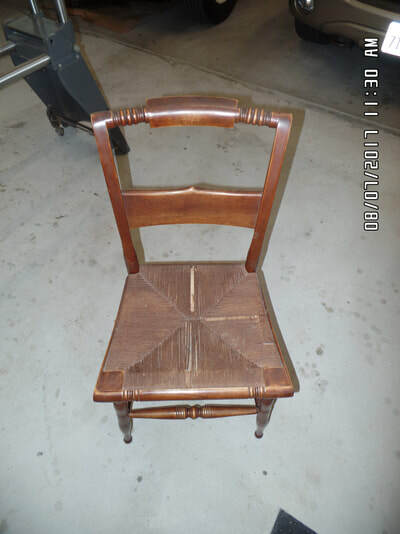 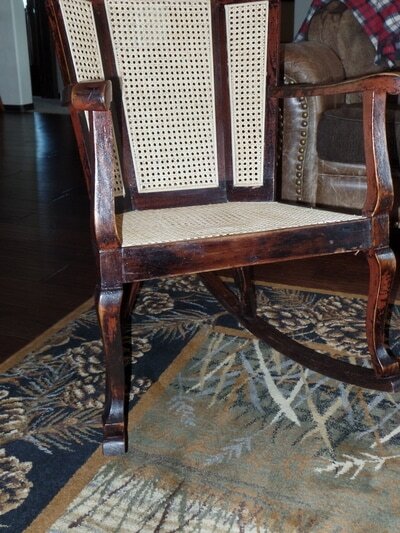 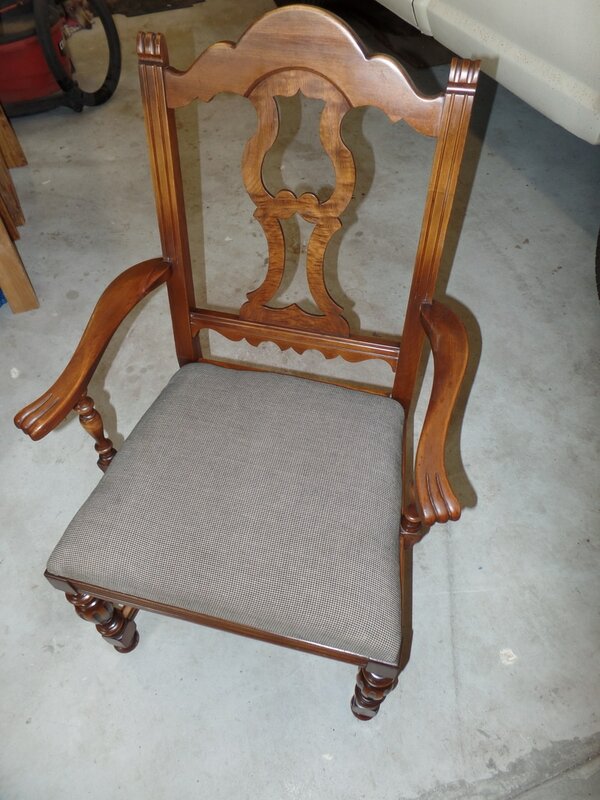 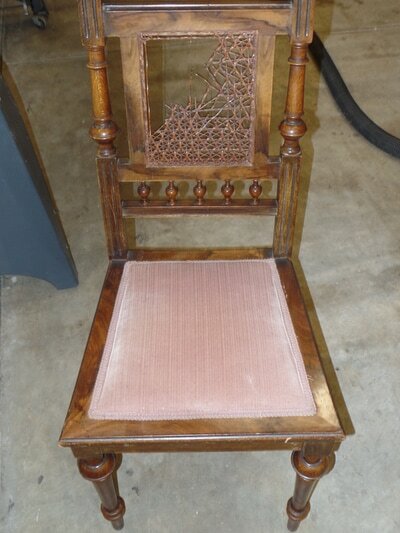 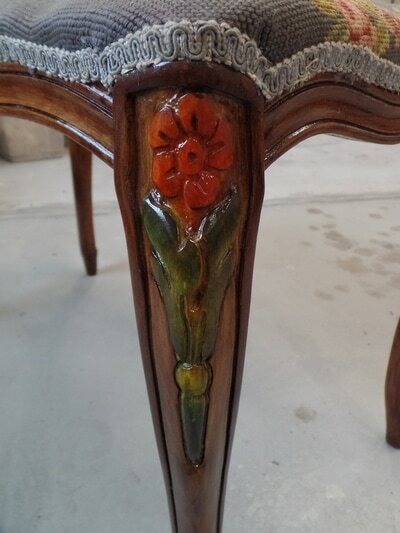 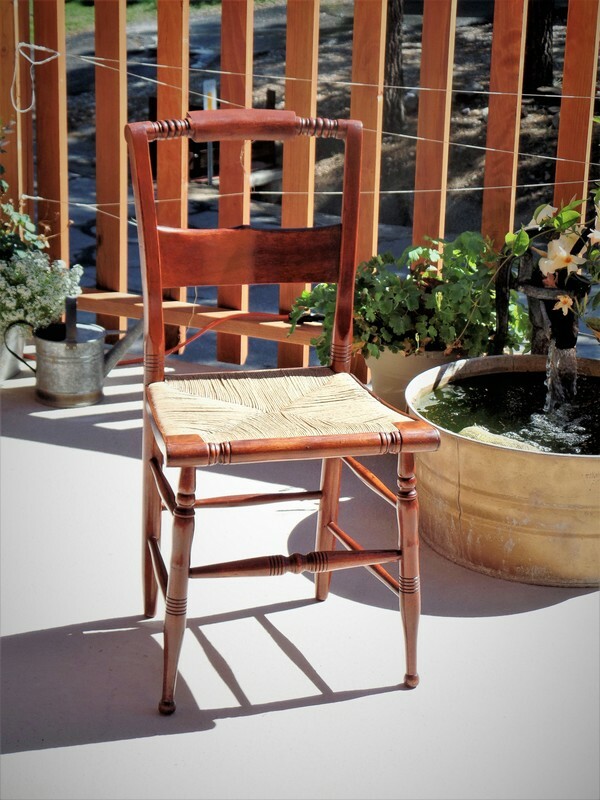 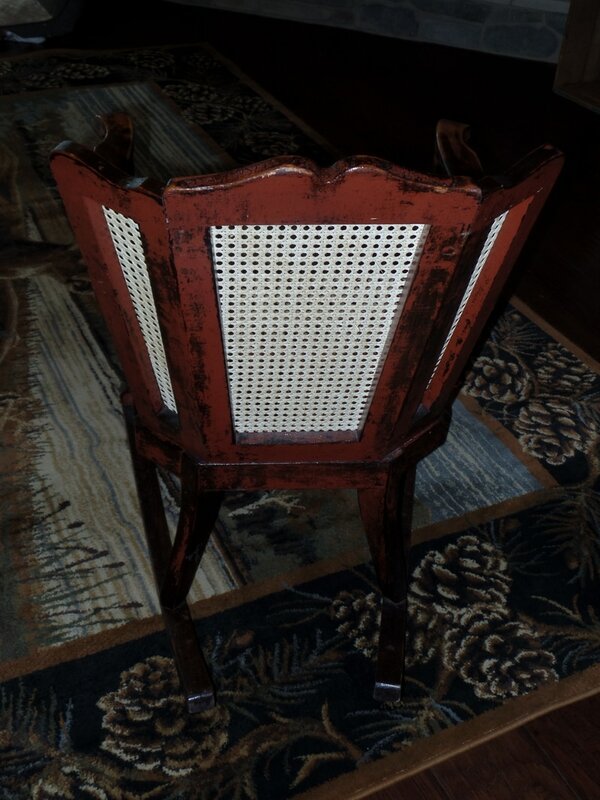 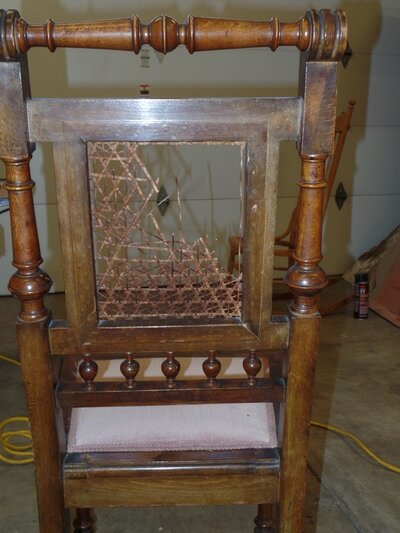 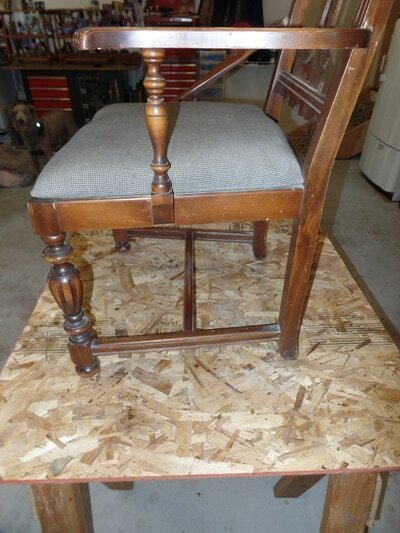 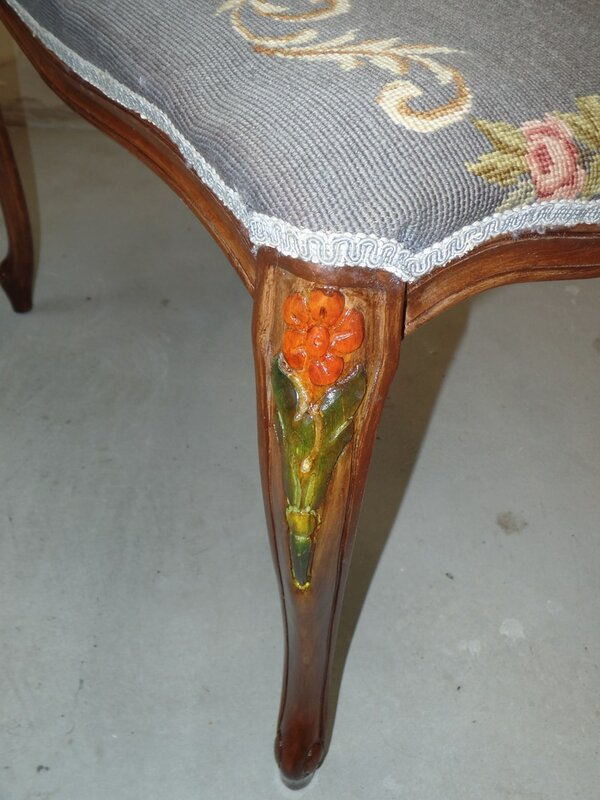 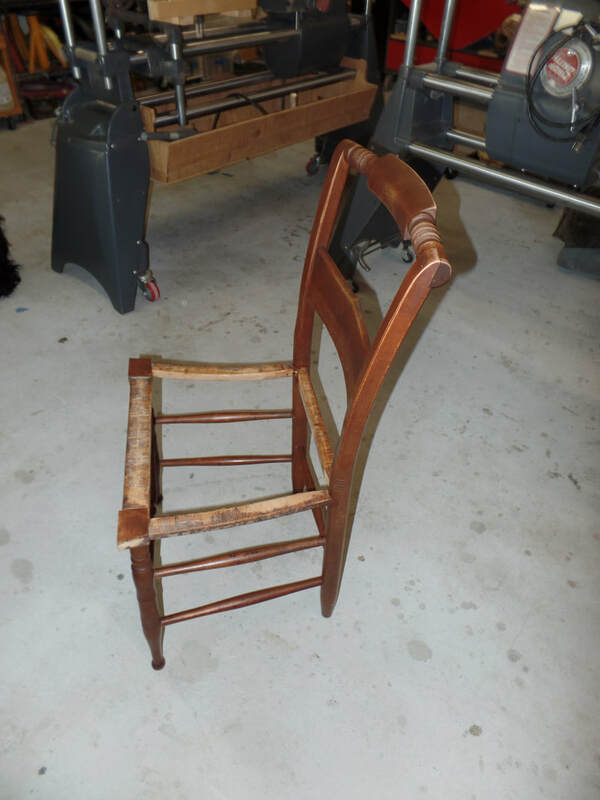 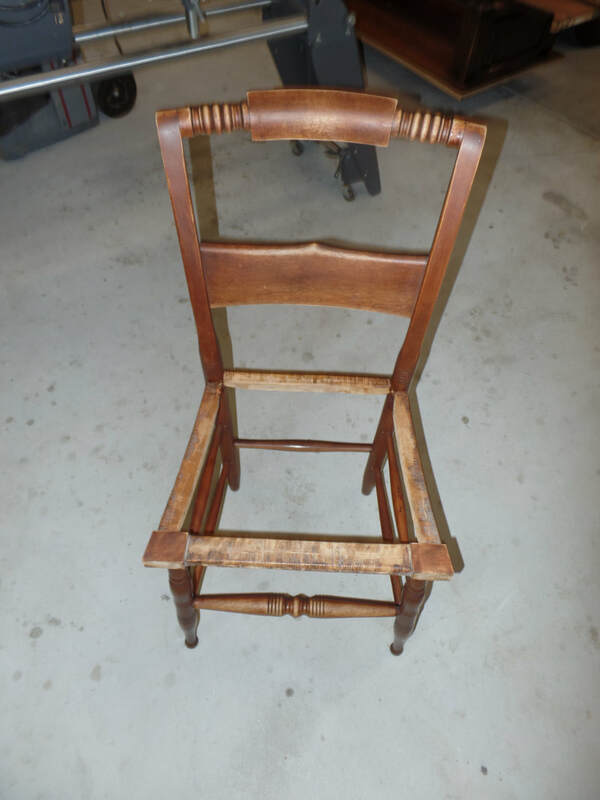 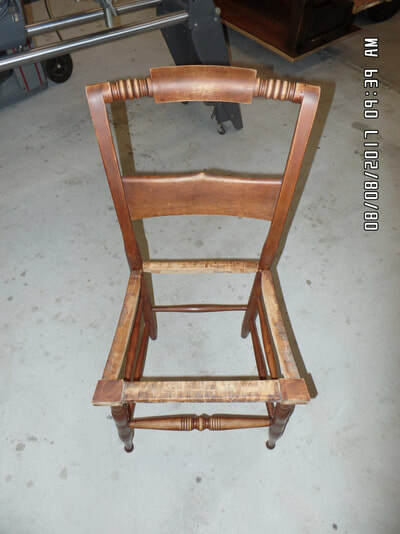 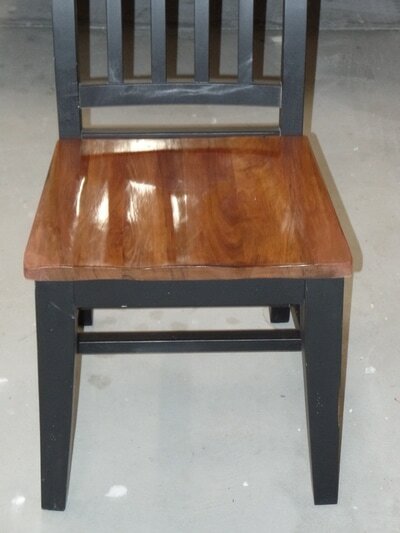 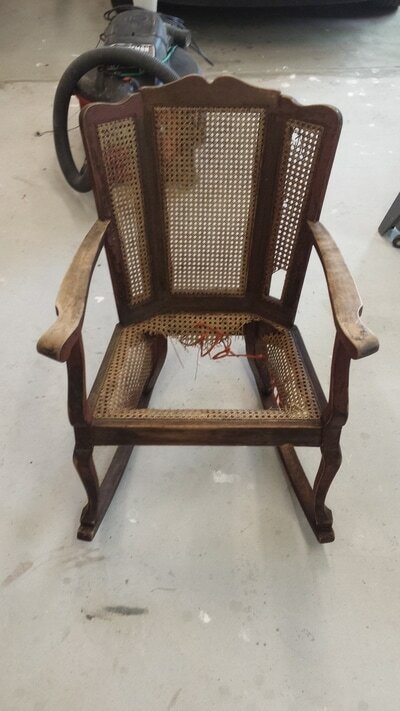 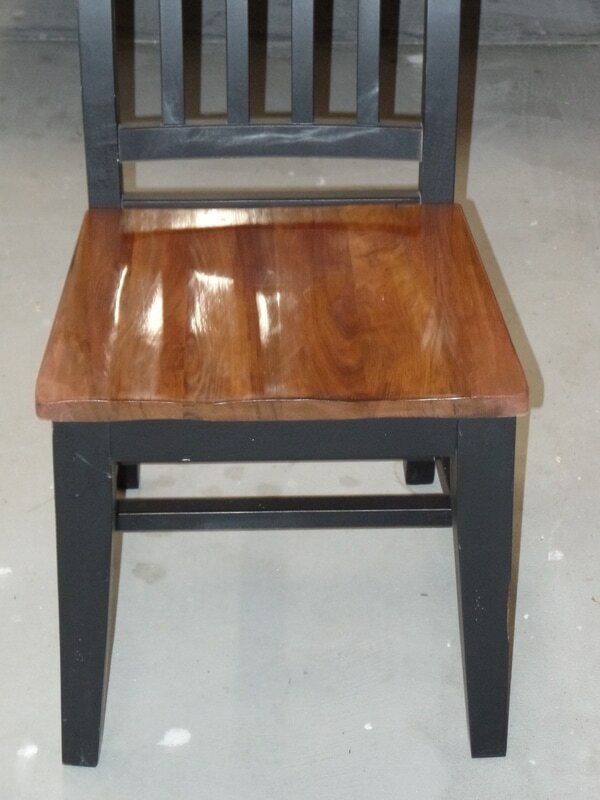 This Chair had some finish problems but was able to reflow the existing finish. ​​This chair Is a unique design it only had the press cane and spline done to it . 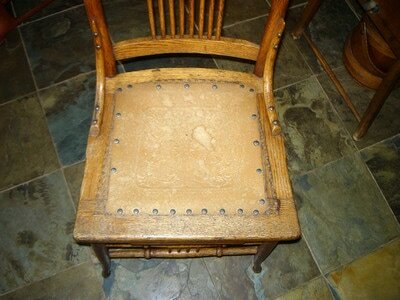 I liked the patina so just added a lite polish to keep it together. 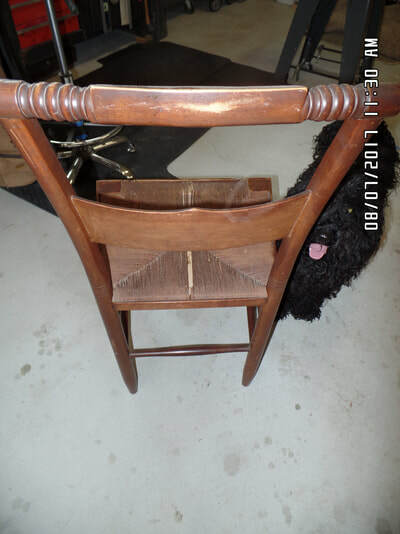 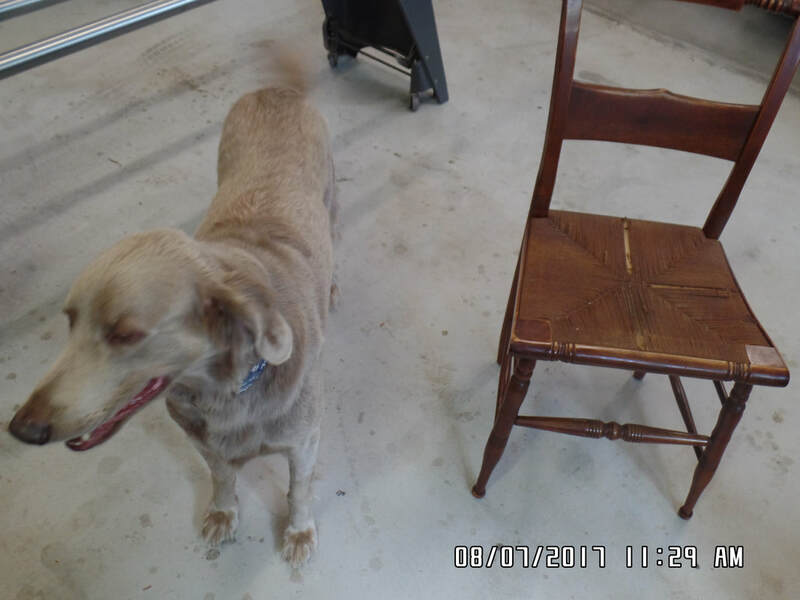 I did not take pictures before I re caned the chair .It happens some times. This is a nice chair even with just the seat insert. 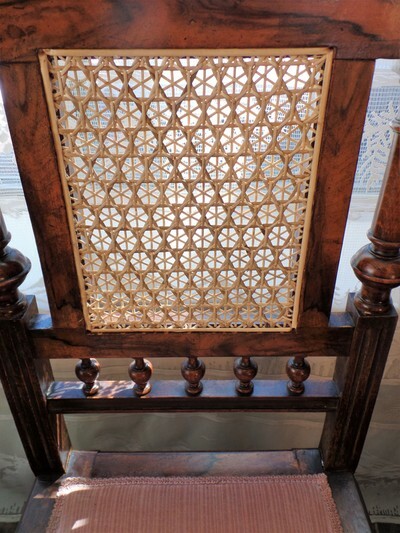 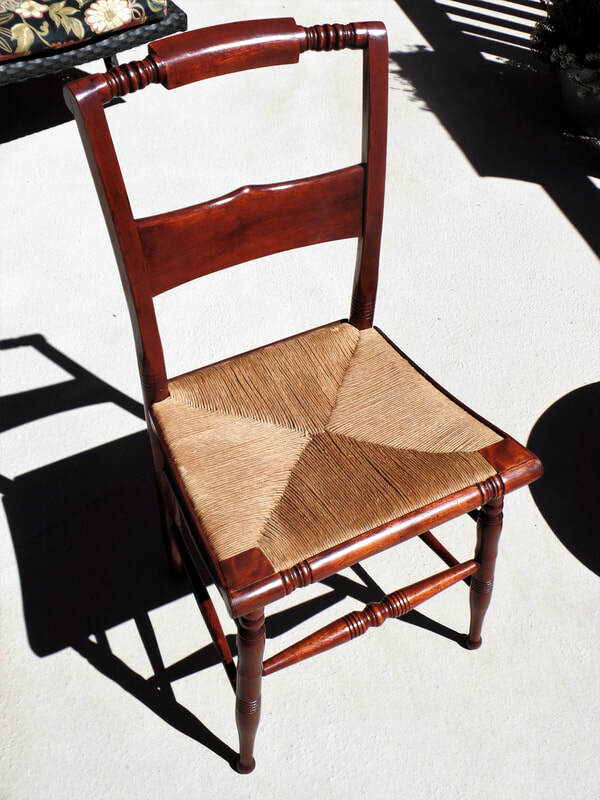 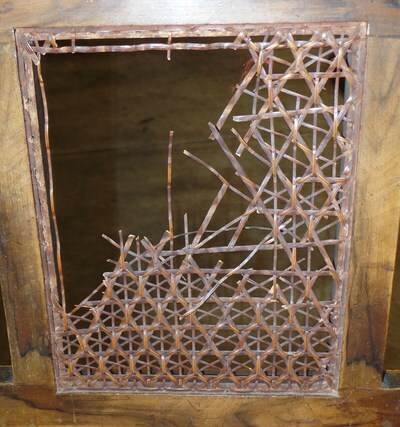 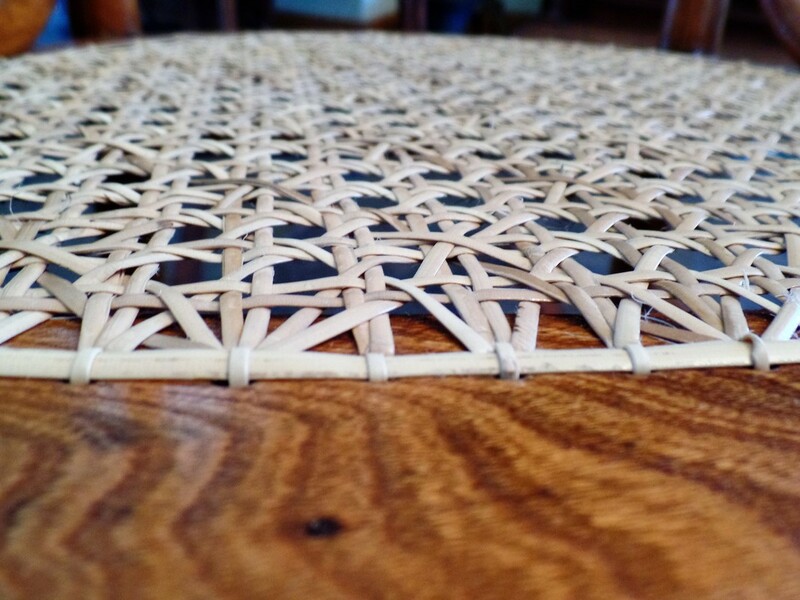 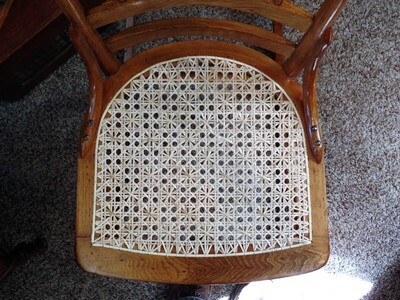 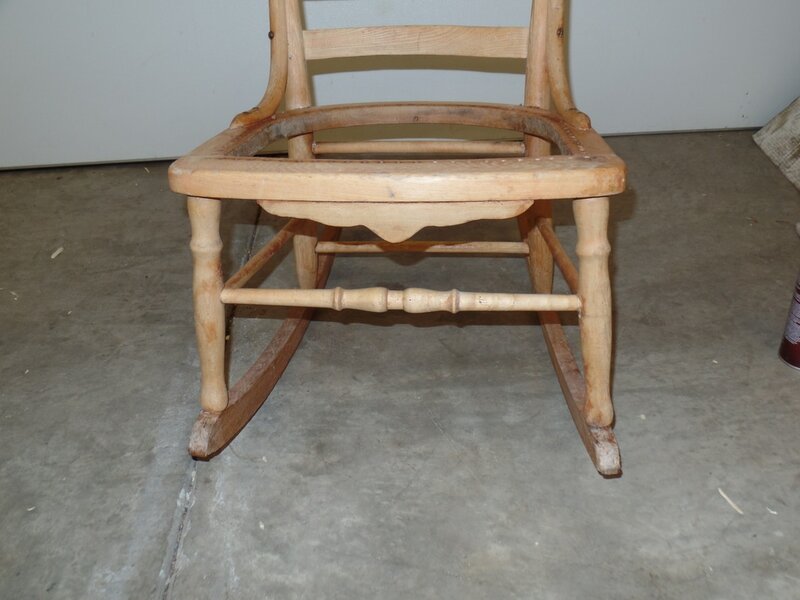 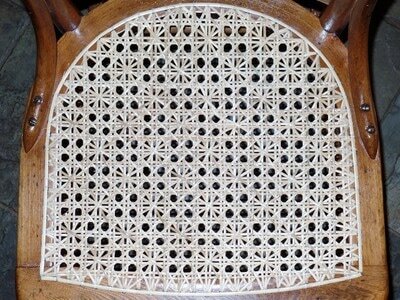 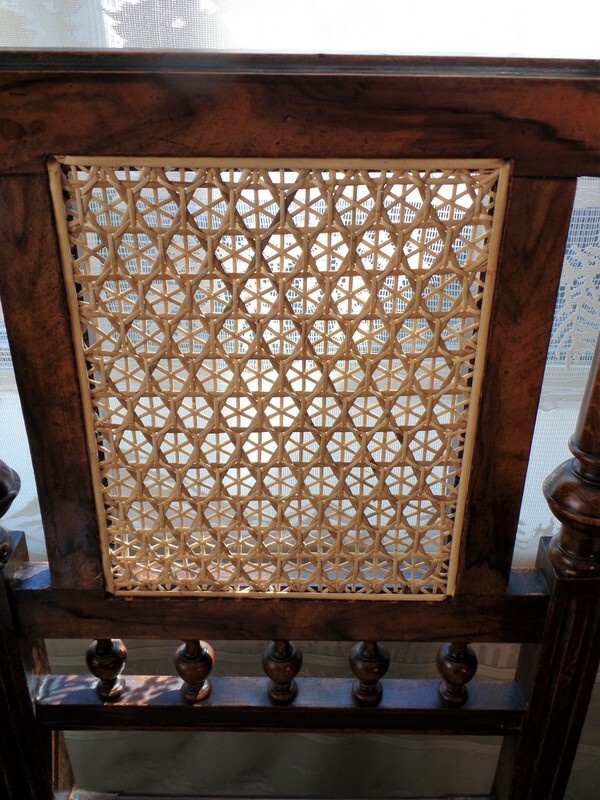 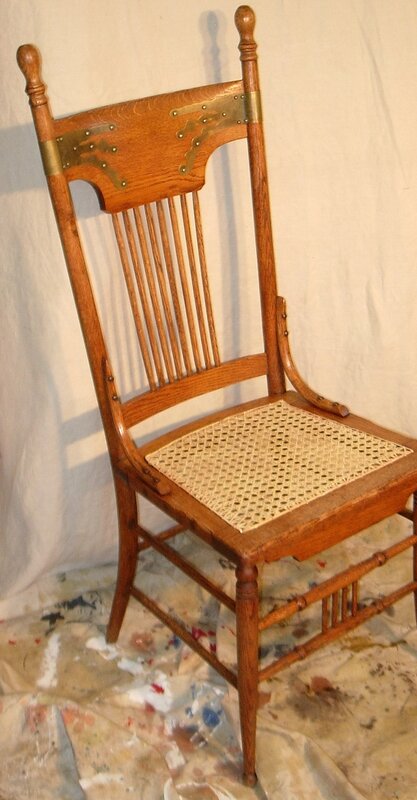 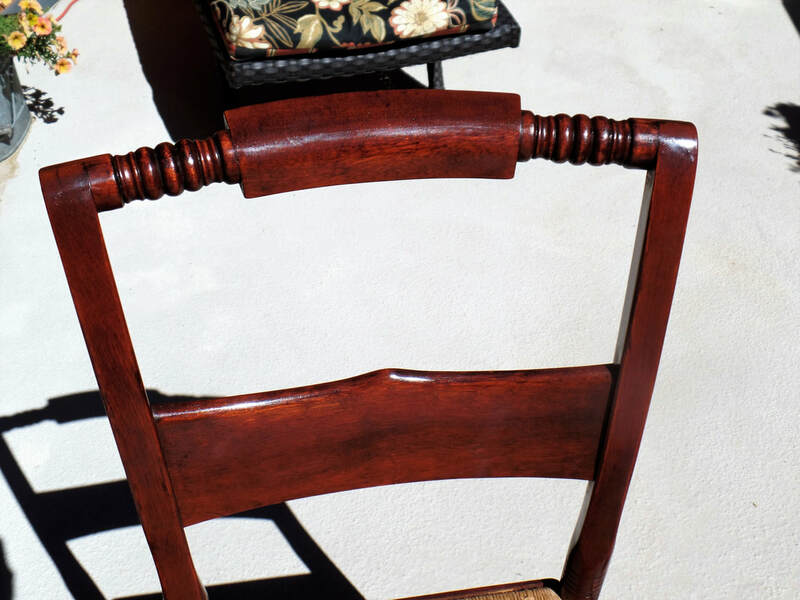 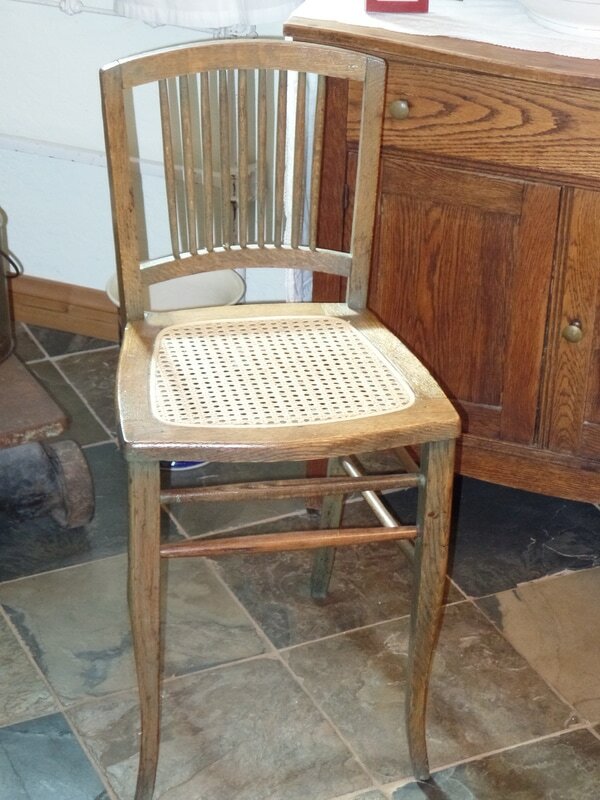 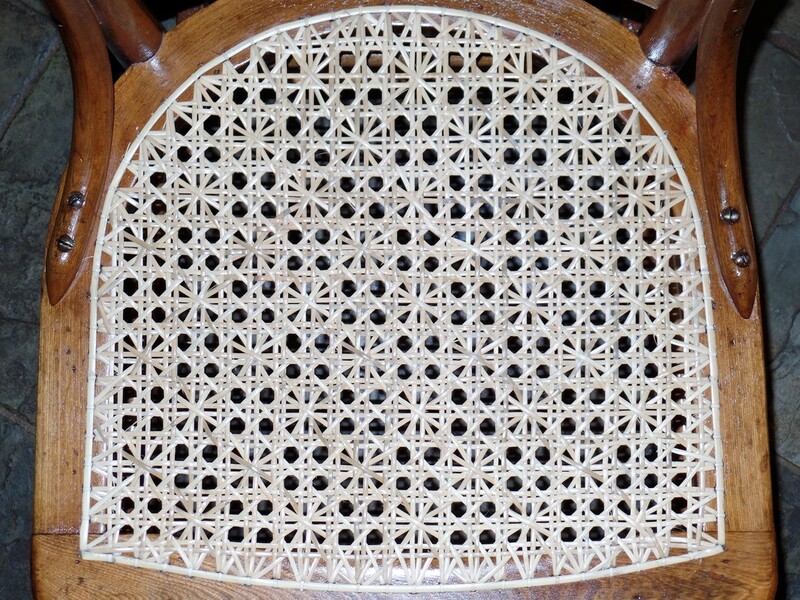 But the chairs with caning are a designed to have cane in place.it holds the whole chair and joints together. 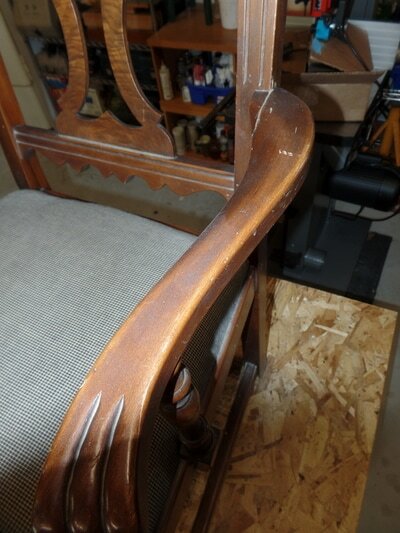 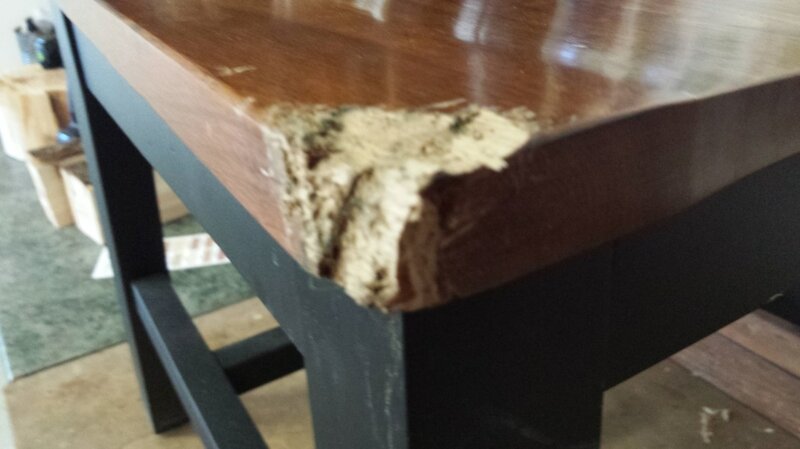 ​chair arms where broken at the joint, all joints where re glued, arm was fixed and filled with burn-in sticks. 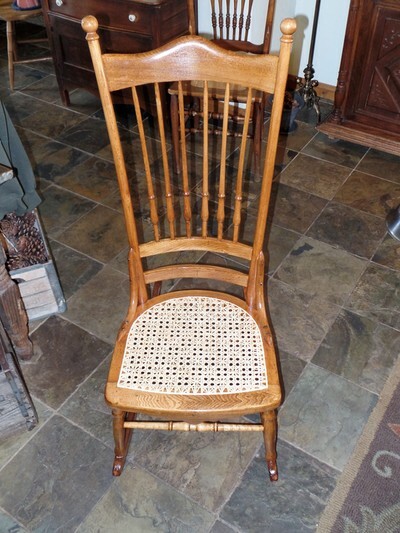 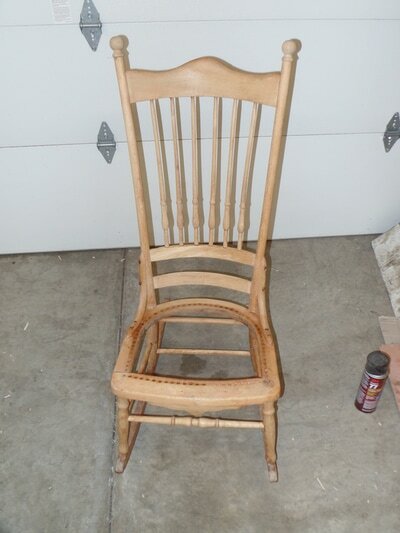 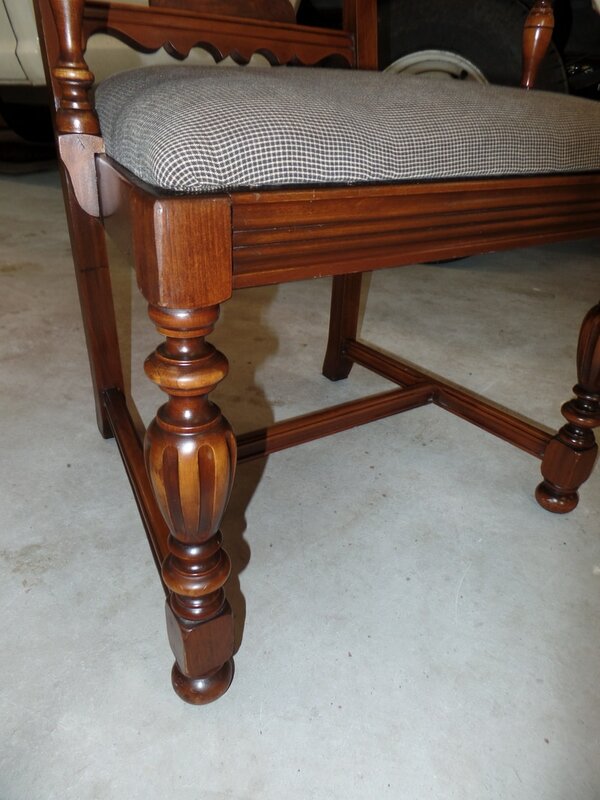 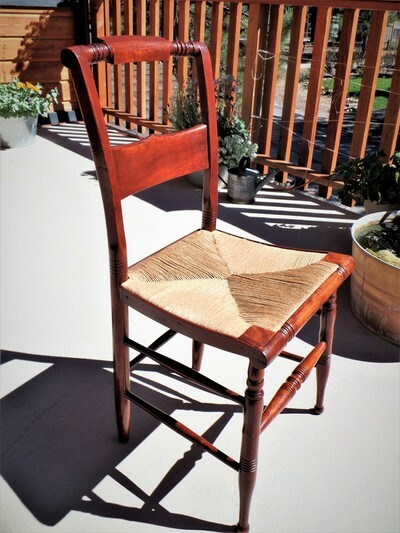 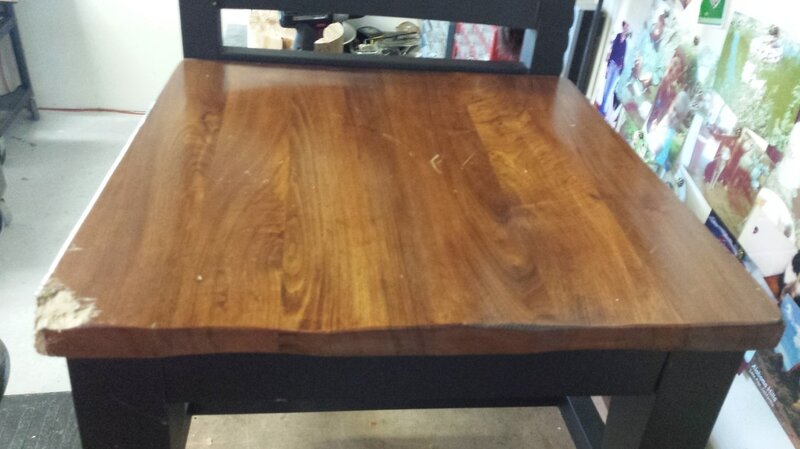 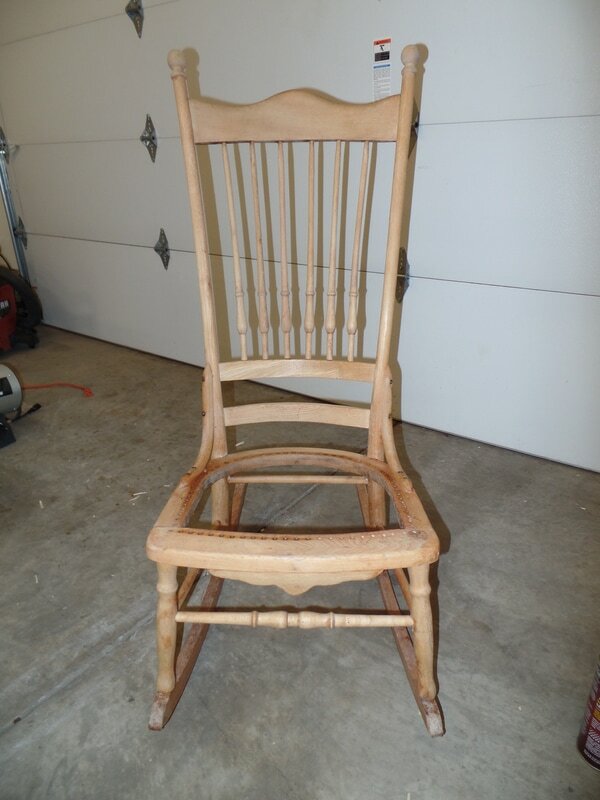 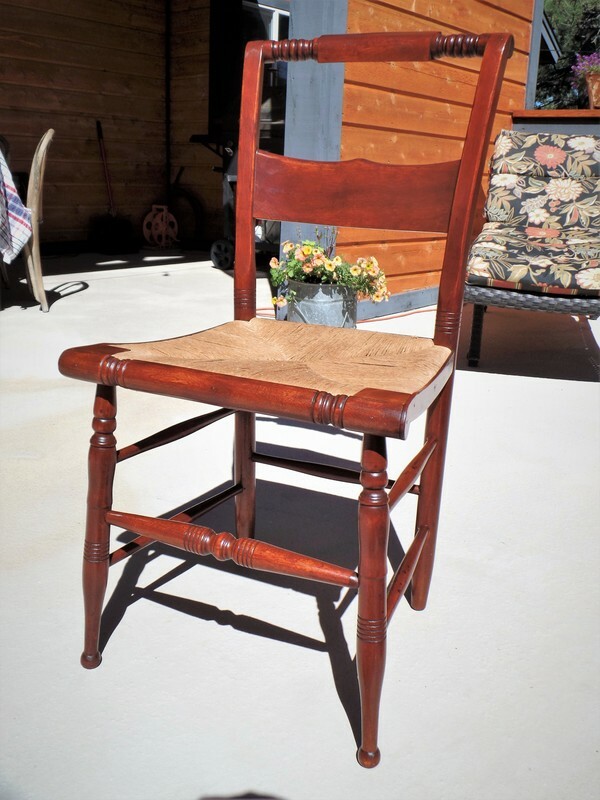 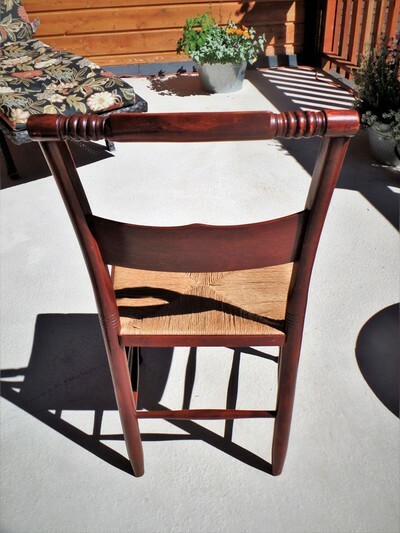 Entire chair was cleaned and polished with shellac. 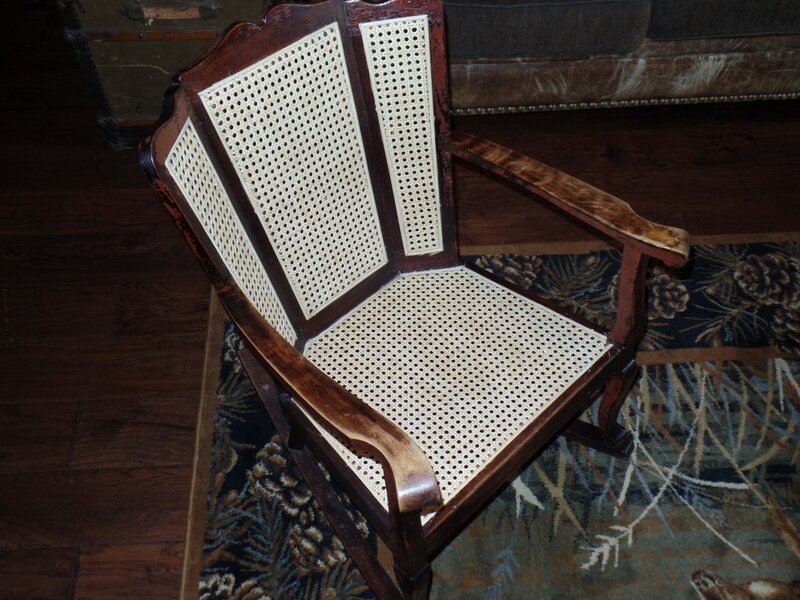 This is a very cool chair! 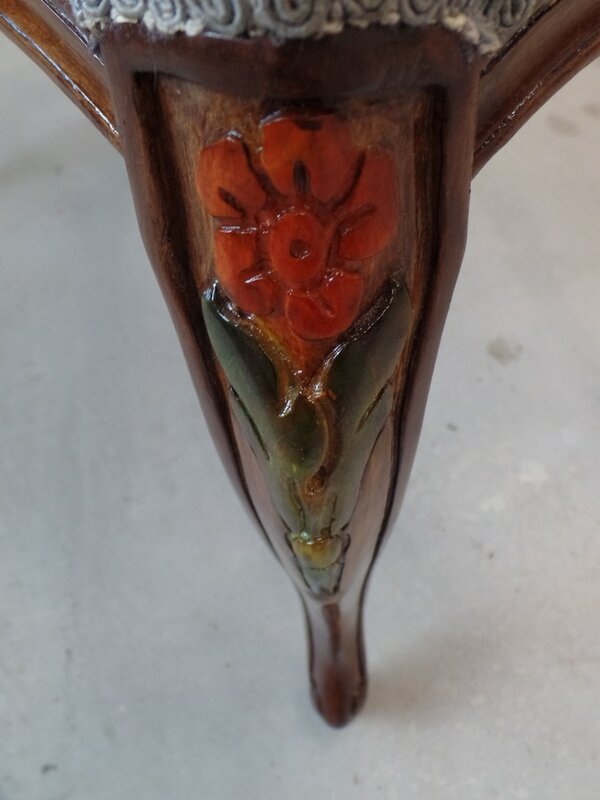 ​it had been very damaged, painted at one time, broken joints and cane. 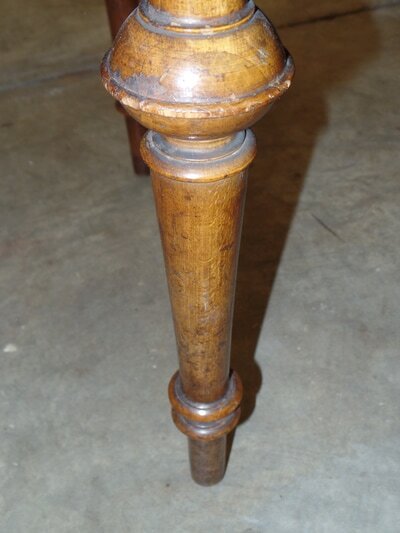 I replaced the cane and fixed all broken joints. I then decided to get what ever paint was left on because I like the way it looked on this chair. This chair was OK ,except for the dog chewed corner. 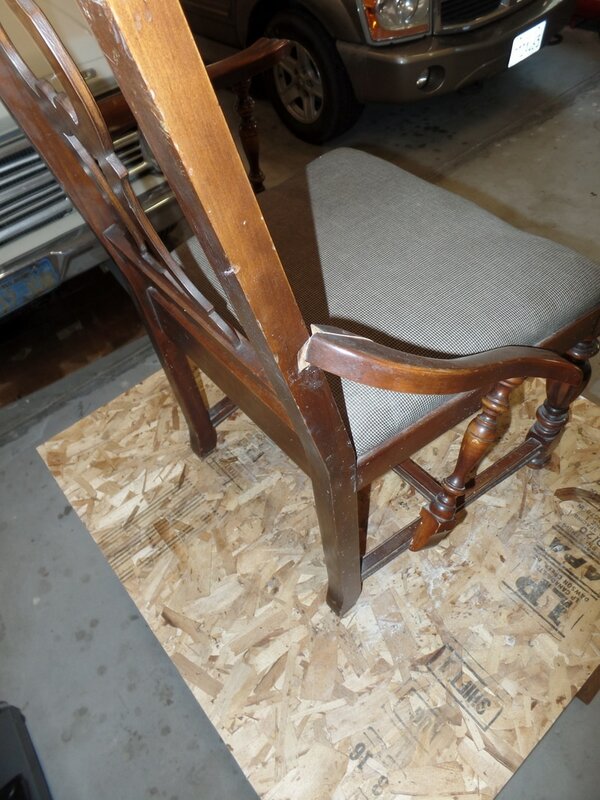 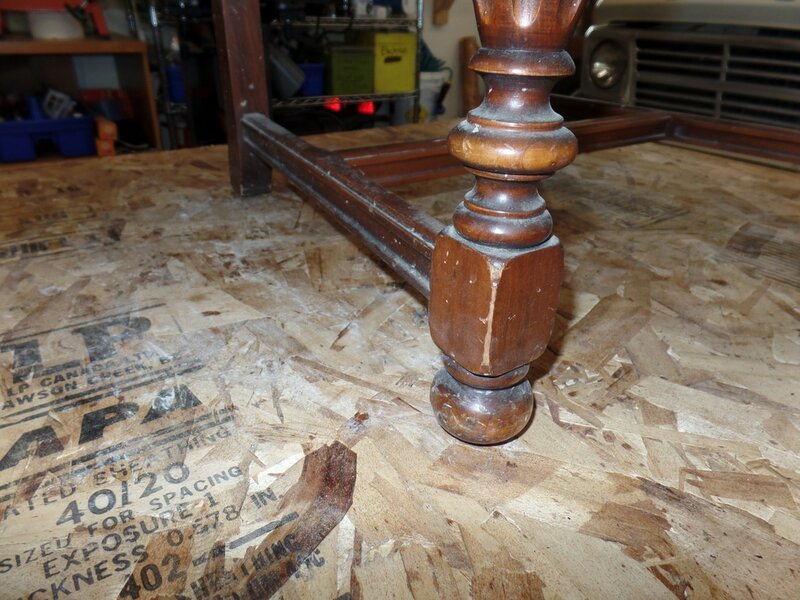 not easy to fix but it can be done.it is a lot cheaper than finding that one chair or buying a whole new set.